Peanuts, peanut butter and other foods containing peanuts as part of their ingredients are popular among Americans. Peanuts are a good source of monounsaturated fat, which is also found in olive oil, olives and avocado, and this unsaturated fat is known to be beneficial for heart health. Peanuts contain high amounts of polyunsaturated fat, a type of fat divided into two main categories: omega-6 and omega-3 fatty acids. 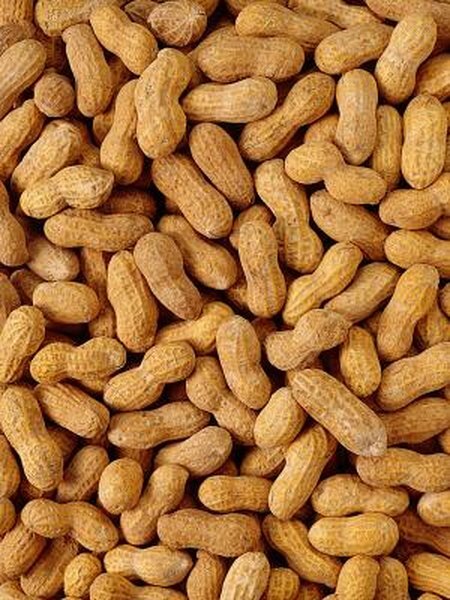 An ounce of raw peanuts contains 14 grams of total fat, 2 grams of saturated fat, 7 grams of monounsaturated fat, 4 grams of polyunsaturated fat, 4 grams of omega-6 fatty acids and no omega-3. A serving of 2 tablespoons of peanut butter contains 16 grams of total fat, 3 grams of saturated fat, 8 grams of monounsaturated fat, 5 grams of polyunsaturated fat, 5 grams of omega-6 fatty acids and no omega-3. Omega-3 and omega-6 fats are polyunsaturated, and 100 percent of the polyunsaturated fats present in peanuts and peanut butter is under the form of omega-6 fatty acids. There are different types of omega-3 fatty acids. Marine omega-3 fatty acids are called EPA and DHA and can mainly be found in fish oil and cold water fatty fish such as salmon, herring, sardines, mackerel, trout and albacore tuna. There is also a vegetable source of omega-3 called ALA, which is found in walnuts, flaxseeds and canola oil. Omega-3 fats are considered an essential fatty acids because they cannot be synthesized by the body and their consumption is important for controlling blood clotting and helping the formation of cell membranes in the brain. Moreover, omega-3 fats are associated with a lower risk of cardiovascular disease, stroke and depression. Omega-6 fatty acids also constitute an essential fatty acids that need to be supplied to the body through food. All of the polyunsaturated fats of peanut and peanut butter are omega-6 fatty acids, but this fat is also found in safflower oil, sunflower seeds and oil, corn oil and soybean oil. Omega-6 fatty acids are involved in the structure of cell membrane and gene expression. The balance between the amount of omega-6 and omega-3 in the diet appears to play a key role in human health. A paper in Biomedicine & Pharmacotherapy published in October 2002 explains that humans evolved eating about similar amounts of omega-6 and omega-3 fatty acids, which corresponds to a ratio of approximately one. However, Western diets now have incredibly high intake of omega-6, skewing the ratio in favor of omega-6 with amounts 15 to 16.7 higher compared with the amounts of omega-3 consumed. A high ratio of omega-6 to omega-3 contributes to the increasing prevalence of cancers, autoimmune disease, inflammatory diseases and cardiovascular diseases. If you eat a serving of 1 ounce of peanuts or 2 tablespoons of peanut butter, which, respectively, provide 4.4 grams of omega-6 fatty acids or 4.7 grams of omega-6 fatty acids without providing any omega-3 fats, you need to include foods rich in omega-3 that same day. To bring your ratio of omega-6 to omega-3 closer to balance, you can supplement your diet with 1 to 2 teaspoons of fish oil, which contains between 1.1 to 3.2 grams of omega-3 fatty acids depending on the type, or 2 tablespoons of ground flaxseeds, which contains 3.2 grams of omega-3 fatty acids. Biomedicine & Pharmacotherapy: The importance of the ratio of omega-6/omega-3 essential fatty acids; Simopoulos A.P. et al.